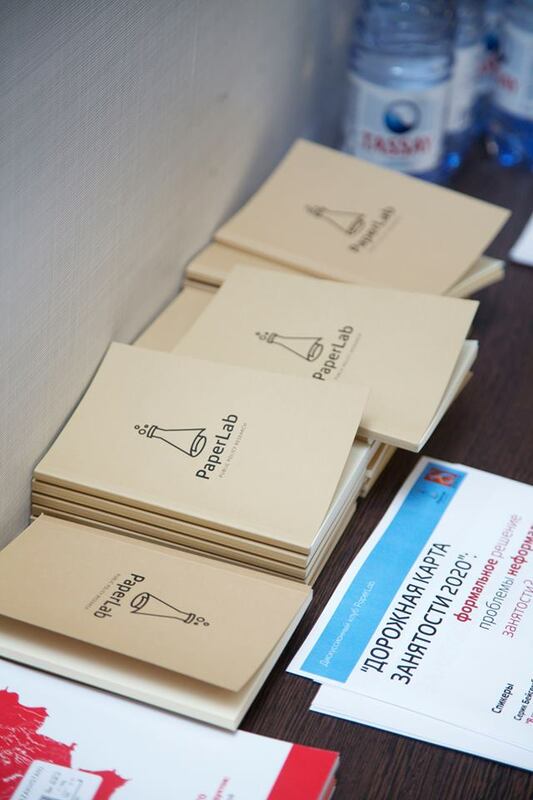 ASTANA – PaperLab is a discussion platform offering scholars and state bodies the opportunity to be exposed to and critically reflect on each other’s expertise, views and decision-making. Launched in 2016 by Soros Foundation-Kazakhstan’s Public Policy initiative graduates Serik Beissembayev and Malika Tukmadiyeva, the platform supports young researchers and contributes to developing Kazakh expertise. Photo credit: PaperLab Facebook Page. The project idea was devised during their five-month fellowships at George Washington University’s Elliott School of International Affairs’ Central Asia Programme. There, the young professionals built on their research and analytical skills through seminars, workshops, training sessions and mentorships. They took it upon themselves to create and foster a research-oriented environment in Kazakhstan, registering the discussion platform as the PaperLab public fund. The name is equal parts creative and informative, referencing the colloquial term for an article in academia – “paper” – and the idea of a public policy research lab. PaperLab is an independent platform providing an open exchange among engaged citizens, researchers and government officials. Every six weeks, it holds expert discussions on issues which concern everyday citizens, with the objective of developing recommendations for effective policy decision-making. Topics include sports, religion, gender, media, non-governmental organisations and criminal justice reform. Selecting the themes involves noting what has caused public resonance and considering whether experts may make a valuable contribution to the given policy area. In this way, PaperLab has established a network of early-career researchers from different countries. “There are researchers from Kyrgyzstan, Uzbekistan and Kazakhstan. The latter constitute the project’s backbone, many of whom are graduates of the Soros Foundation-Kazakhstan’s Public Policy initiative,” added Beissembayev. The project founders value a plurality of perspectives, as indicated by the inclusivity of their discussion panelists. As they developed the basic concept the last two years through trial and error, the PaperLab team has come to better understand how dialogue may be best facilitated. Beissembayev and Tukmadiyeva aim to accomplish even greater inclusivity by fostering representation from a broader range of experts from the country’s regions and, for the first time, hosting discussions in Kazakh. “We are interested in observing the difference between discussions in Russian and Kazakh, if there are any differences at all,” said Tukmadiyeva. The desired outcome is to provide an opportunity for the meaningful discussion and analysis of important decisions, given that many reforms are currently occurring in Kazakhstan. PaperLab discussions are announced and livestreamed on Facebook at @paperlabkz.